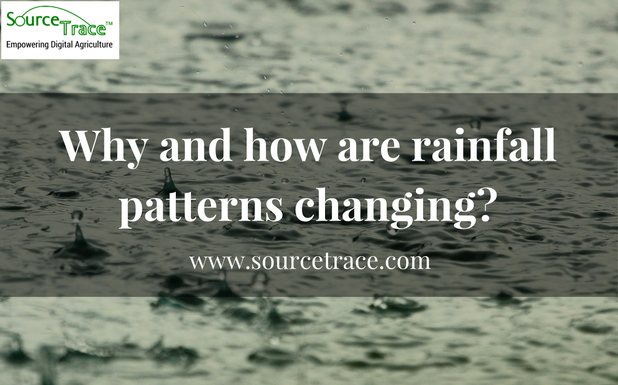 Why and how are rainfall patterns changing? As a result of global warming, the world’s climate is changing and its effect is being felt the world over. And one of the most important parameters of climate is rainfall. Just as there is a direct relationship between climate and agriculture, so is there one between rainfall and agriculture. So when rainfall patterns change, its effect is directly felt on cropping patterns worldwide. Again, as a result of depletion of the ozone layer, there will be more heat trapping gases in the atmosphere, which, according to climate models, will shift rainfall/precipitation patterns in two major ways. The first shift is in strengthening the current patterns, which means the wet regions would get wetter and dry regions would get drier. This is because warmer air as a result global warming traps more water vapour, and scientists predict that this additional water will fall in the already wet parts of the earth. The second shift is due to changes in atmospheric circulation, because of which storm tracks [the narrow zones in seas and oceans along which storms travel, driven by prevailing winds] would move away from the equator and towards the poles. 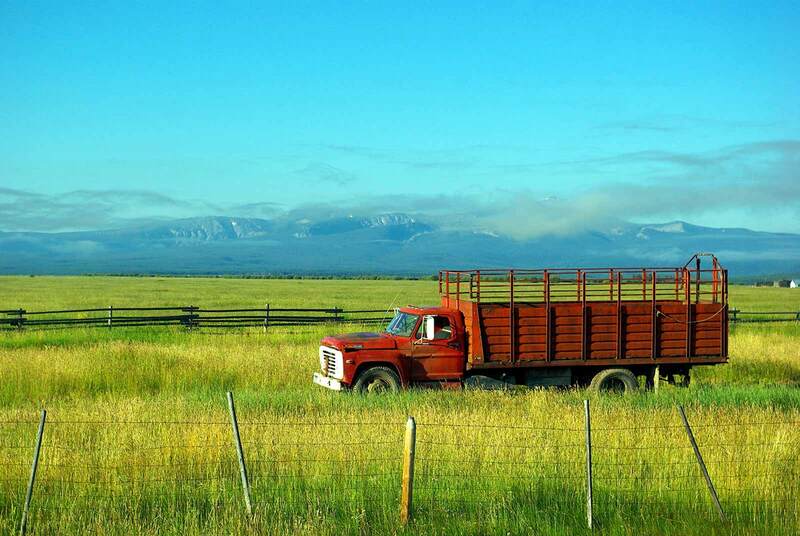 So how are these predicted changes in rainfall patterns going to affect food production? An important aspect to be understood regarding the relationship between rainfall and agriculture is that rainfall is the major factor in the growth and production of food crops both at the germination and fruit development stage. But with a change in the world’s climate, temperatures will rise and rainfall will increase in some places. In other places, rainfall will decrease. Other than the effect of high and low rainfall on cropping patterns, it is predicted that phenomena such as coastal flooding will reduce the amount of land available for agriculture. Farmers are already finding it difficult to cope with these environmental changes, as almost all crops are season-dependent and rainfall-dependent. Temperature and rainfall changes induced by climate change are likely to further react with other parameters of plant growth like atmospheric gases, fertilizers, insects, plant pathogens, weeds, and the soil’s organic matter. This again is expected to produce unanticipated responses. How will changing rainfall patterns affect crop patterns? Currently, about 60 per cent of the world and 90 per cent sub-Saharan African staple food production are under direct rainfed agriculture. If we go by the predicted climate models, then in central and eastern Africa, increased yields of 10 to 30 per cent are possible if rainfall increases and improved agricultural technologies are adopted. Even these projected increases, however, will not be sufficient to provide adequate food for Africa’s growing population. In North America, on the other hand, projections show that average rainfall in central North America will be 10 per cent lower than now. It is such regional variations that make it difficult to propose general strategies for adapting new agricultural technologies to combat this change. On the whole, in those parts of the world where water availability is set to increase due to higher rainfall, there would not be much problem. This water can be stored efficiently through check dams, bunds, ponds and reservoirs. It will help irrigation in the surrounding areas and increase crop production. Unfortunately, a good proportion of this excess rainfall comes with hurricanes and floods, doing more damage than good. This is what happened in 2009 in the Philippines, when two back-to-back typhoons unleashed heavy rains. Many farmers in the Philippines lack post-harvest storage and drying facilities and spread their unhusked grains on concrete streets to dry in the sun. Due to this the grain was of poorer quality and fetched lower prices. To add to it, the damage and excess rain made it impossible for them to plant the next crop. The cumulative loss as a result of these typhoons was to the tune of USD 27 million. Hurricanes like El Nino provide another example of how agricultural production patterns and food securities are impacted. Last year  in Southern Africa, it “severely weakened” crop prospects, triggering a 25 per cent cut in wheat production. In India too, following a poor monsoon, the area of wheat crop was cut. However, its effect is much less than in Southern Africa because India holds enormous volumes of wheat and rice stocks. So even if production is affected, it does not jeopordise food security, although the export potential is be hit. Thus, cropping patterns and food security are affected in different ways in different parts of the world. Climate change being a continuous and long term process, its effects and solutions are also time and effort consuming. Agricultural adaptation options for this can be grouped as technological developments, government programmes, farm production practices and farm financial management. Agricultural policies and investments needs to be more strategic in Africa and Asia, where most of the world’s poor communities live, and where there is a large yield gap in rainfed agriculture. As we have seen, the two main changes in patterns of rainfall include high and low rainfall. There seems to be no solution to the phenomenon of over-rainfall at the end of the crop cycle, which causes destruction. Rainfall, as we know, is an uncontrollable phenomenon. Managing the problem of low rainfall, however, is nearly possible through irrigation, but only if dealt with efficiently and without degradation to the water table, by ensuring ground water recharge practices. The thing to remember is also that irrigation requires large amounts of energy, making it expensive. Ground water withdrawal turned out to be a serious problem in western United States, parts of India, China and Mexico. Salinization and waterlogging of soil are other serious problems associated with irrigation. In this new scenario, the management of water resources should fall in the core of all adaptation strategies. Where there is no threat of water scarcity, demand would not increase. However, if more and more land is brought under irrigation, water scarcity will certainly occur. Farmers have begun falling back on traditional ways, such as reusing water from washing utensils to irrigate kitchen gardens. Many communities are also reviving traditional water harvesting, a method of storing rainwater. In some cases, farmers changed their crops to suit the prevailing conditions. Although there is no one-stop solution, traditional methods of dealing with low rainfall propel us to build innovative, scientific methods to deal with such changing rainfall patterns.